Chandra Sripada (2016) has recently proposed a conative self-expression account of moral responsibility which claims that we are responsible for actions motivated by what we care for and not responsible for actions motivated solely by other desires. He claims that this account gives us the intuitively correct answers when used to assess the responsibility of Harry Frankfurt’s Willing Addict and Unwilling Addict. This might be true; however, I argue that it provides a counterintuitive assessment of real-world cases of addiction because it holds people struggling to recover morally responsible for their relapses. All self-expression accounts face the problem of specifying which aspects of the self that the agent should be held responsible for expressing. The agent is only responsible for those actions that express their deep self. So what is the deep self? On conative self-expression accounts like Sripada’s, this amounts to answering the question – which desires represent the deep self? If it is just any desires, then people like the Unwilling Addict will be held responsible for acting on irresistible desires even if they had no part in developing those desires, and this seems wrong. On Sripada’s account, desires generated by cares represent the deep self while other desires do not. Cares have four main features. (1) Cares are a source of intrinsic motivation for actions that promote the goal cared for so it is not possible to care for something only as a means to some further end. Typical cares include the lives of the people we love, features of the environment, careers, political movements, sports teams. (2) Cares also have commitmental effects, that is, people want to have the cares that they have so the thought of erasing or altering a care comes with a sense of loss. If one judges that, all things considered, a certain care must be altered or erased then the prospect of changing it will not be viewed only positively. (3) Cares involve a disposition to form positive evaluative judgments about the goal cared for. (4) Cares generate a range of emotional responses in reaction to the prospects of the thing cared for, e.g. joy when our loved ones do well and despair or sadness when their goals are thwarted. Sripada claims that his account gives the intuitively correct answers when it comes to assessing the moral responsibility of the Unwilling Addict and the Willing Addict. The Unwilling Addict “hates his addiction and always struggles desperately, although to no avail, against its thrust. He tries everything that he thinks might enable him to overcome his desires for the drug. But these desires are too powerful for him to withstand, and invariably, in the end, they conquer him” (Frankfurt, 1971, p. 12). Our intuition is that the Unwilling Addict is not responsible for acting on this desire (especially if we stipulate that he was not responsible for developing the desire). Sripada’s account gets the right answer here; although the desire to use the drug is his strongest, it does not stem from his cares, in fact it opposes his cares, so he is not responsible for the actions that issue from this desire. The Willing Addict “is altogether delighted with his condition. … If the grip of his addiction should somehow weaken, he would do whatever he could to reinstate it; if his desire for the drug should begin to fade, he would take steps to renew its intensity” (Frankfurt, 1971, p. 19). Our intuition is that the Willing Addict is responsible for acting on his addicted desires. 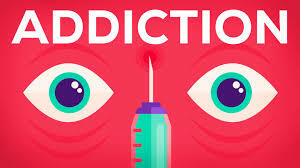 Again Sripada’s account gets the right answer; the Willing Addict is responsible for actions motivated by his addicted desires because he cares for the high he gets from using addictive drugs. The attribution of moral responsibility becomes a bit trickier when we turn our attention to real-world cases of addiction, especially that significant subset whose first-hand reports and obvious misery make it clear that they are struggling to pursue many of their cares. Sadly, most of those addicted people who seek treatment relapse repeatedly, often over several years, and despite multiple cycles of treatment; some never recover. During relapses it’s not uncommon for people to steal and lie to feed their habit which in turn prolongs the addiction. Are these people responsible for these relapses because they are motivated by cares, like the Willing Addict, or are they in the same blameless category as the Unwilling Addict because their actions are not motivated by cares? Sripada’s understanding of weak will is relevant here. He claims that our deep selves are mosaic in nature, that is, our cares are often somewhat in conflict. Furthermore, some of those conflicts are between good or morally justifiable cares and cares that are morally dubious, evil, unworthy of one’s talents, or outright self-destructive. Sripada labels the latter cares ‘impure’. “Cartoonish villains might be impure in a thoroughgoing way. But in the real world, impurities in the self typically manifest as flaws. We pick out flaws in ordinary language with thick descriptors: vanity, self-indulgence, sloth, avarice, vindictiveness, and so on. Though they go against the ends that the remainder of our cares advance, flaws are not thereby external to our selves” (Sripada, 2016, p. 1226). In cases of weakness of will, “either the temptation-directed action, the failure to regulate the desire that leads to this action, or both, are anchored in one’s flaws, even if other parts of one’s self are opposed, even very strongly, to giving in. Moreover, the presence of this sort of anchoring is precisely what distinguishes weakness of will from compulsion. For an individual who acts due to a true compulsion, the action is not anchored in her flaws, and indeed does not express any part of her self at all” (Sripada, 2016, p. 1229). So people are responsible for weakness of will because in weak willed action people express their flawed cares. People are not responsible for compulsion because those desires do not express their cares. So it seems that these addicted people are pursuing flawed cares at the expense of other cares, therefore, on Sripada’s account, their actions in relapse would count as weakness of will that they are responsible for. But this is a counter intuitive conclusion given how miserable these lives of repeated relapse appear to be. If Sripada doesn’t want to bite that bullet he has at least the following options. He could reject the idea that the deep self consists of all a person’s cares and distinguish between cares that represent the deep self and cares that are somewhat inauthentic ways. There are good reasons to think that cares for addictive drugs are somewhat inauthentic, at least in cases where those drugs cause abnormal dopamine surges that generate disproportionately large desires for being high and disproportionately positive evaluations about the value of being high (Dill & Holton, 2014). Another possibility would be to appeal to degrees of moral responsibility. Perhaps acting on a care of any kind is a minimal threshold for moral responsibility but one is less blameworthy for acting on flawed cares that are at odds with the majority of one’s other cares compared to acting on cares that cohere with the majority of one’s other cares. The latter better express one’s deep self than the former and so the agent would be more responsible for the latter. This would allow us to consider the Willing Addict who wholeheartedly pursues drug use to be more responsible for his drug-using actions than those people who are struggling to recover. Finally, we might question the clear distinction between cares and other desires. It seems there might be mental entities that are similar to cares but that don’t consistently generate the desires, evaluations, and emotions characteristic of cares. For example, some agents struggling to recover might care for being high some of the time but then at other times repudiate it completely, no longer seeing its intrinsic value or evaluating it positively and so on. This phenomenon might be called ‘care-shift’ and would be analogous to ‘judgment shift’ where, under temptation, agents come to judge that taking the temptation is best after all (Holton, 2009). Cares that are more diachronically stable would have a better claim to being part of the deep self than those that are less diachronically stable. Again, we could appeal to degrees of responsibility and say that they all count as part of the deep self but the agent is more responsible for acting on more diachronically stable cares and less responsible for acting on less diachronically stable ones. Dill, B., & Holton, R. (2014). The addict in us all. Frontiers in Psychiatry, 5(OCT), 1–20. Holton, R. (2009). Willing, wanting, waiting. Oxford: Oxford University Press. Kennett, J., Matthews, S., & Snoek, A. (2013). Pleasure and Addiction. Frontiers in Psychiatry, 4(117). Sripada, C. (2016). Self-expression: a deep self theory of moral responsibility. Philosophical Studies, 173(5), 1203–1232. 2 Responses to Is Addiction an Expression of One’s Deep Self? I know this will seem off-topic to most people, but I’m wondering if this issue could be expanded to take in our collective addiction to the high-consumption lifestyle that is doing so much damage to the systems of the planet and the other forms of life that are being exterminated by it. Are we Willing or Unwilling Addicts? People making observations and inserting bias has no use in the medical and scientific communities, which have essentially been chipping away at what causes addiction to the point where they can identify multiple causes emotionally as well as well as the actual physical constructs within the human body that become damaged. Anyone talking about ‘intuitive’ and ‘unintuitive’ need to put that aside. Evidence is what counts and there’s mountains of it in 2019 that point to one thing: behavior is indeed controlled by dopamine and in addicts, dopamine release is hijacked and rewired. This is true in both substance abuse and non substance abuse addictions. It’s not an ‘inner self’ thing, it’s a chemical thing and a neurobiology thing.